Apple on Sunday released an ad highlighting its newly launched iPad Air 2 that, like recent commercials for iPad, chooses to demonstrate the tablet's flexibility by showing off a variety of apps, from productivity solutions to multimedia content creation. The minute-long spot, titled "Change," is a variation on Apple's "Your Verse" ads and harkens back to playful iPod spots from years ago. Like those heavily edited commercials, "Change" puts white iPad Air 2 overlays on top of video, crops scenes into cutouts resembling spinning iPads and applies other techniques to create a tight, fast, action-packed promo. Set to the frenetic pace of "Who Needs You" by The Orwells, Apple's latest iPad ad runs through real world use cases for apps Post-it Plus, Tayasui Sketches, iStopMotion for iPad, AutoCAD 360, INSA's GIF-ITI VIEWER, Molecules by Theodore Gray, OBD Fusion and Animation Creator HD. Interspersed throughout are smaller snippets of apps like Paper by FiftyThree and The Human Body by Tinybop. A full list of featured apps can be found on an Apple webpage promoting the ad. As seen above, the ad starts out fullscreen, then slowly letterboxes in on content with white bars until only a sliver —shaped like an iPad, of course —of video can be seen. 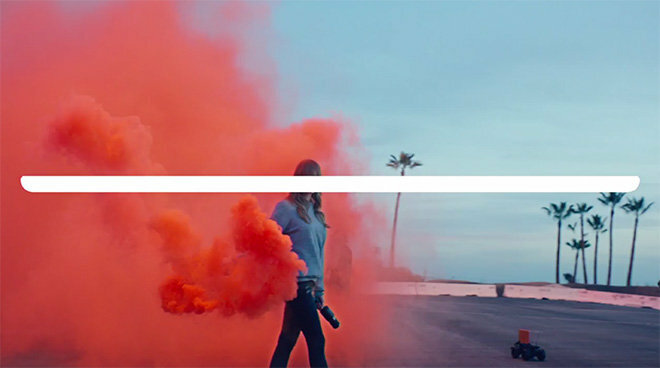 The ad then flips between video and solid white overlays, creating an interesting effect much like older iPod commercials where dancing actors were screened black, and later in a splash of color, with contrasting white iPods and headphone cords. Finally, the spot ends with a tagline reading "Change is in the Air." Apple's iPad Air 2 ad comes on the heels of iPhone 6 spots starring "The Tonight Show" host Jimmy Fallon and singer Justin Timberlake, the most recent of which aired in November touting iOS 8's voice messaging capabilities.